"Dog ear hematoma refers to the accumulation of fluids or blood in betweenthe skinand cartilage of the ear flap or pinna of the ear. It is a common earproblemin dogs, particularly in dogs with long ear flaps. Other names forcanineear hematoma are “Aural Hematomas” or “Auricular Hematomas”. Certainunderlying ear problems such as allergies, parasitic infestation andinfections are associated with an ear hematoma. Symptomatically,extensive head shakes, pruritus (itch), self injury from scratching andtraumaare some common causes of a hematoma. Painful swelling with fluidcontained in theexternal ear is noticed as a primary symptom while associated symptomsof the underlying problem will also be noticed such aspruritus (itch), skin lesions, alopecia (hair loss), all of which canhelp in makinga diagnosis. Proper careis essential; otherwise it can cause permanent deformities in a dog’sear. Surgical drainage of the hematoma followed by the filling of thecavity withglucocorticoids is the most effective way to treat hematomaspecifically.Any underlying cause should be properly diagnosed and treated toprevent a recurrence." Canine ear hematoma or auricular hematomas areconsidered to be a secondaryproblem that is triggered by another underlying cause.An ear hematoma isspecifically defined as the accumulation of fluids (Blood) in betweenthe skinand ear cartilages. It occurs when delicate blood vessels on the flapof the ear rupture due to extensive head shakes, itching andscratching or any traumatic injury. allergies (atopy,food allergy, flea bite allergy etc. Hematomas may develop soon after the blood vesselsrupture, and inthe viewpoint of some researchers, an ear hematoma in dogs is a subtype of a “closewound”. Ear hematomas in dogs is a condition which occursas the result of an underlyingcause. It can be termed as a severe symptom itself. Painful swelling onanear that contains fluids is the primary representation of thecondition. When touched, swelling feels warm and displaceable to someextent. Blood fills in an ear pocket between the skin andcartilage, thus when the blood clots.it may cause deformity in the dog ear if left untreated.Symptoms of underlying causes include severe itching, scratching, skinlesions; marginal bleeding at the ear flap, alopecia (hair loss) andgeneralizedillness from infections can help in making a diagnosis and inunderstanding the etiology (why it occurred) of the earhematoma. Clinical examination by a veterinarian is enoughfor diagnosing an ear hematoma in dogsspecifically, but as far underlying causes are concerned, laboratoryprocedures might be required. A detailed inspection of the ear and thestatus of anyswelling is essential prior to undergoing surgical drainage, as it willhelp inassessing the required approach and post surgical care. Timely surgical drainage is the most appropriateapproach towardstreatment. It is always recommended that some of the ear hematomacontentbe collected and examined before operating. This willhelp in assessing the status of the problem. Surgical incisions on theskin surface,preferably vertically, can completely drain the contents of the pocket. After careful drainage, flushing of the cavity isrequired. This is done with anantiseptic solution containing an appropriate quantity of buffer in it.Topical glucocorticoids, available in the form of powders can be usedto fill inthe pocket to hastened recovery. There are two different approaches for the closureof surgical wounds;several mattress sutures are applied or the skin surface is coveredwith asticky tape bandage. Suturing is an effective option but there areconcerns such as disfiguring of the ear, particularly in show dogs.Placing a sticky tapebandage on incision can prevent disfiguring but requires extensive postoperative care. In severe ear hematomas, it is always recommendedthat a catheterbe placed in the ear for continuous drainage till the vascular supplybecomesstable. An IV catheter or a simplified butterfly cannula connection canhelp in this regard. Any underlying cause should be carefullyidentified and should be treatedspecifically. This is a very necessary step to prevent any recurrenceof the dog earhematoma. WoundDr. can help to speed recovery from any minorsurgical wounds. Another homeopathic product, EarDr., can help with symptoms suchas scratching, itching and overall health issues. Have a story to tell about this topic that will help others or want to ask aquestion? Each week 1 question will be answered by our editors. 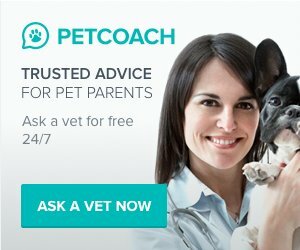 Share your story or dog health questions here. The Dog Health Guide is not intended to replace the advice of a Veterinarian or other Health Professional. All rights reserved. © 2018 Dog Health Guide.